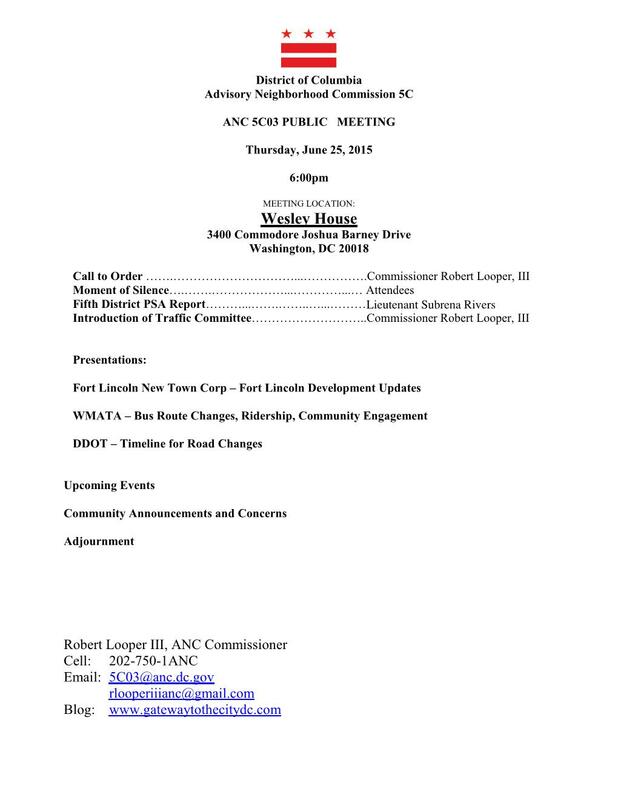 Please plan to attend the next Single Member District (SMD) 5C03 Meeting for Fort Lincoln on Thursday, June 25, 2015. Please note that parking is only allowed on the street. Residents are encouraged to walk or take the bus. Also note that there will be 150-200 attendees at the meeting and that seats are on a first come first serve basis. The meeting format will be the same as the last meeting. Hi. Does the development update include cityscape? Any other residences?